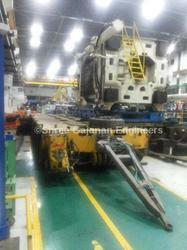 We are offering Plant Shifting in Automotive Industries Services/Machine Relocation Services In Automotive Industries. These services are highly reliable and are completed within stipulated time. We take projects of shifting automotive industries and provides optimum satisfaction to our valued customers by providing highly efficient services. These services are executed by a team of expertise professionals having deep understanding of shifting. 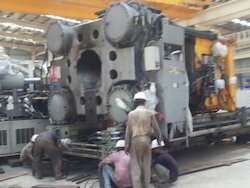 We have enabled ourselves to provide highly reliable Machine Dismantle, shifting,loading on trailer, unloading,installation and Commissioning Services to our valued patrons. Offered services are appreciated for their timeliness. These services are executed by a team of expert professionals making proper use of modern technology and tools. Our highly skilled professionals make use of modern tools and latest technology to execute these services. We take whole responsibility of shifting and our sheer hard work is reckoned worldwide. We are working extensively with companies setting up plants across states.We take care of the complete project cycle wich includes dismantling process, packing , loading-unloading,transport to site, reinstallation, fine tuning and finally & cold run. We have a team of experts along with dedicated manpower who can take care of above all the activities. We have all the necessary tools and equipment of international standard to execute tasks with accuracy and precision with time bound manner. Our focus is on providing excellent service to our clients with highest standard of safety and realiability. The end result of our services is a production line that works. We take a great pride in being associated with most trusted names in business such as Mahindra & mahindra, Tata Auto comp., Cummins India P Ltd, John Deer etc. Our renowned organization is engaged in offering patrons a valuable Industrial Machine Relocation Services In Agro Industries. They make use of advance techniques to transfer machine and all the equipments from one place to another within stipulated time-frame. This service is executed by a team of expert professionals having great knowledge of shifting. Offered service help our clients to completely relocate their machine and equipment from one place to another. We provide these services as a turn key project. Customers can avail these services from us in competitive prices. 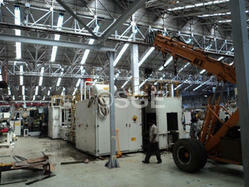 We specialize in providing Plant Machinery Shifting/RelocationServicesIn Packaging Industries to valued patrons. We have all the needed equipment and tools to execute these qualitative services. These services are executed by qualified and skilled team of professionals. We take great care of quality, time limits and various other specifications given by patrons to execute these services. Customers can avail this qualitative services from us ensuring best execution within predeclared time frame. We are offering relocation services for all type of Injection Molding Machines(Local/imported). These services are done by expert team of professionals and is executed with complete responsibility and accuracy. These services are executed within stipulated time. Our expertise lies in assembling and disassembling the machines for shifting and that too without harming any configuration. 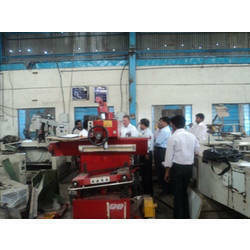 Customers can avail these services from us to get their machines shifted from one place to another. 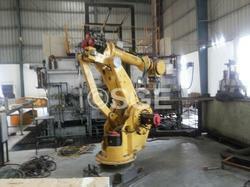 Looking for Industrial Machinery Shifting Services ?